Replacement phone sling for Racepak Cup Holder Mount for the CL1 data box. GPS Antenna for use with the IQ3 Logger Dash, G2X, G2X Pro and GPS Module (220-VM-GPS). M10 coolant temperature thermocouple for the Vantage CL1. M6 rubber mounting feet for the Vantage CL1 data logger. M8 wheel speed sensor for the Vantage CL1. 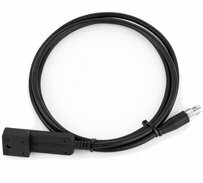 The CL2 OBD2 to EFI adapter provides the ability to connect the CL2 to a variety of aftermarket EFI systems, though the use of a mating OBD2 connector, along with an external power/ground and CAN Hi/Low connector. Under plug head temp thermocouple for the Vantage CL1. 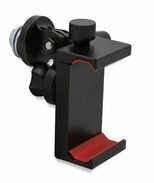 This bracket mounts your mobile device to the steering wheel, providing instrumentation for the Vantage CL1 kit. 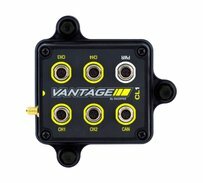 GPS Antenna for the Vantage CL1. The Vantage CL1 Karting kit. Racepak's mobile based CL2 OBD2/EFI Data Kit is the smallest, yet most powerful data system available for late model track day, circuit, autox and drag race competitors. 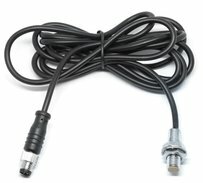 3/16" exhaust gas temperature thermocouple for the Vantage CL1. Comes with 27" lead, 3/16" nut, ferrule and weldment. M8 Infrared sensor will measure temperatures from 0-400°F. Jackshaft RPM sensor and 0.75" 4-magnet collar for clutch RPM on the Vantage CL1 data logger. Jackshaft RPM sensor and 1.00" 4-magnet collar for clutch RPM on the Vantage CL1 data logger. Replacement rechargeable 'AA' batteries for the Vantage CL1 data logger. M8 rotary string pot travel sensor for the Vantage CL1. Wheel speed sensor and 30 mm 8-magnet collar monitors wheel speed on the Vantage CL1 data logger. Wheel speed sensor and 40 mm 8-magnet collar monitors wheel speed on the Vantage CL1 data logger. Wheel speed sensor and 50 mm 8-magnet collar monitors wheel speed on the Vantage CL1 data logger.